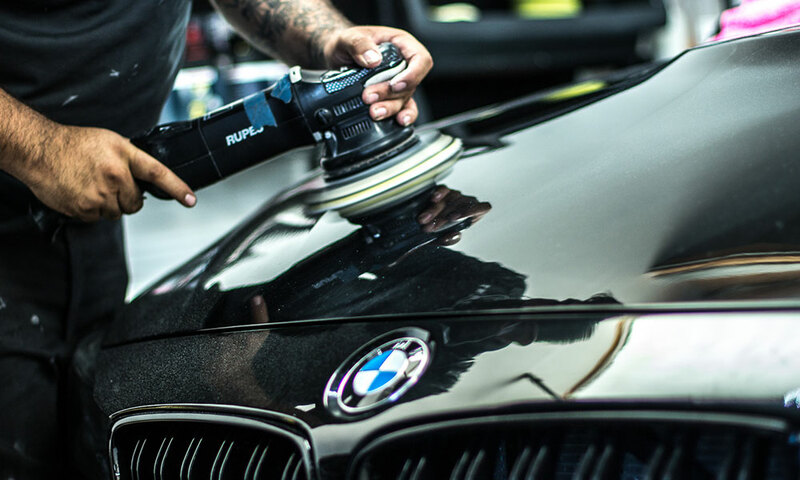 When it comes to paint correction Carlsbad, our staff will get your car looking as good as new. Let us polish your car to perfect. We pay close attention to every detail and spend the time to treat your car as if it was one of our own. Our paint correction package will remove any defects from your vehicle’s paint including scratches, swirling and marring, water spots and more. We begin this package with a through wash removing all dirt and grime from your vehicle before we polish your car. Then our technicians will use the clay bar method and polish to get your paint looking fresh. Our paint correction package includes several stages of correction that will ensure your paint will look perfect when we are done with it. If you’ve been thinking about getting serious about protecting your paint with a Ceramic Pro or Clear Bra package, then we highly recommend doing our paint correction prior to make sure your car’s paint looks flawless and will stay that way. Once we decontaminate your vehicle’s paint using the clay bar, we’ll begin the polishing process to ensure all defects are removed from your paint. This process uses different compounds to remove any swirls, scratches, water spots and more from your paint to polish your car to perfection. Every vehicle is different and we’ll make sure to diagnose what level of paint correction is necessary for your car. Several stages may be needed to ensure that all defects are removed from your paint and you drive off feeling like you’re in a brand new car. If you’ve been searching for paint correction Carlsbad, then 5 Point Auto Spa is your spot. To learn even more about paint correction click here to check out our blog post.